Small to medium volume postal bulk mailers. Typical users include print and mail shops, small businesses, community newspapers, churches and nonprofits. Includes all updates & support for a full year. Small renewal charge after. Postage $aver is low-cost software that makes it easy to save postage with USPS bulk mail. 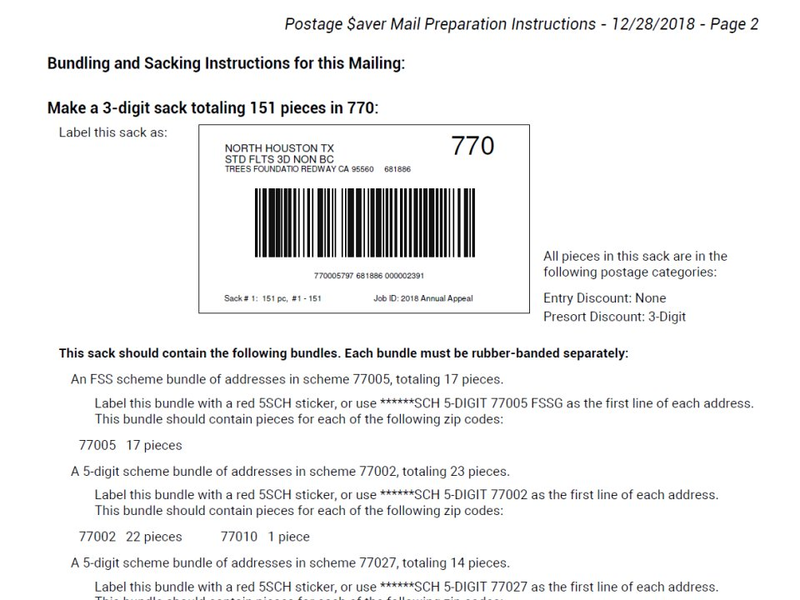 Postage $aver sorts addresses by tray or sack, as required, for quick preparation of your mailing, fills out and prints postage statements and mailing reports, prints barcoded tray/sack tags, and creates easy-to-follow instructions for assembling each mailing. USPS PAVE certified for accuracy. Complete user guide. For Marketing Mail, First Class Presort, Periodicals, and Bound Printed Matter. Windows/Mac. Postage $aver Reviews Recently Reviewed! 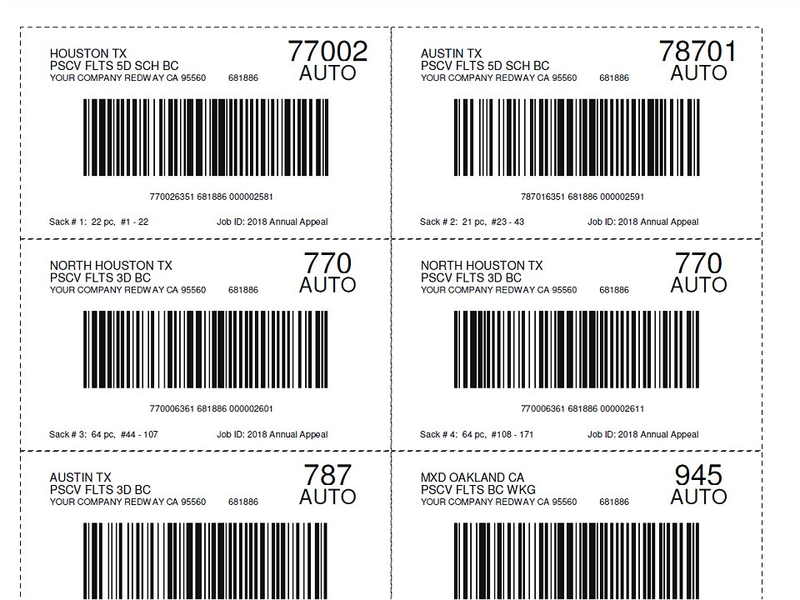 Pros: Whether you are using bar codes or not, the program is easy to use. Enter your information, locate the address list in question, then press 'start'. I use the program two to three times per week, you will not find a better product at this price point. Support has been great for couple of times I needed help, responsive and went out of their way to share how to fix spreadsheet issues. Cons: Minor issue at best and more an issue with Mac OS, i have to separately print the Postage Statement, Qualification and Mail Prep sheets individually. Really a minor issue, takes an additional minute to go through and print each report separately. Overall: Instead of having to pay for the larger Mail Houses to process our jobs, we can keep in house with less concern about the Mail Houses going after our Customers. Postage Saver truly makes your job simpler and takes the guess work out when dealing with the USPS paperwork. Thanks for your kind words, and for taking the time to write a review. I'm glad Postage Saver is working well for you. You should be able to print all the reports together when the report dialog comes up during the preparation process. Where you are limited, though, is if you choose "save as pdf" instead of printing, in which case it will only save one at a time. Again, thanks. We appreciate your business! Pros: I cannot narrow my praise for Postage Saver to one thing. We are a very small religious non-profit with a bi-monthly mailing of around 3000. When our previous software (Envelope Manager) was no longer available to us, we only found very expensive alternatives. I don't remember how we stumbled on Postage Saver, but it was a life saver for us and allowed us to continue to mail since 2012. While we are experiencing a change in direction at this time and haven't mailed for 4 months, we still intend to keep Postage Saver with the thought that we may resume our bi-monthly mailing in the future. If you process bulk mail, you need Postage Saver (coupled with Smarty Streets)! Cons: I can't think of one thing I do not like about Postage Saver. Overall: Postage Saver has made our mailing a blessing to the Post Office as it is so "correct"; they always smile when I deliver the trays! Thank you so much for your kind review. I'm glad the software has worked so well for you. Exactly what I needed to send out business mail and save! 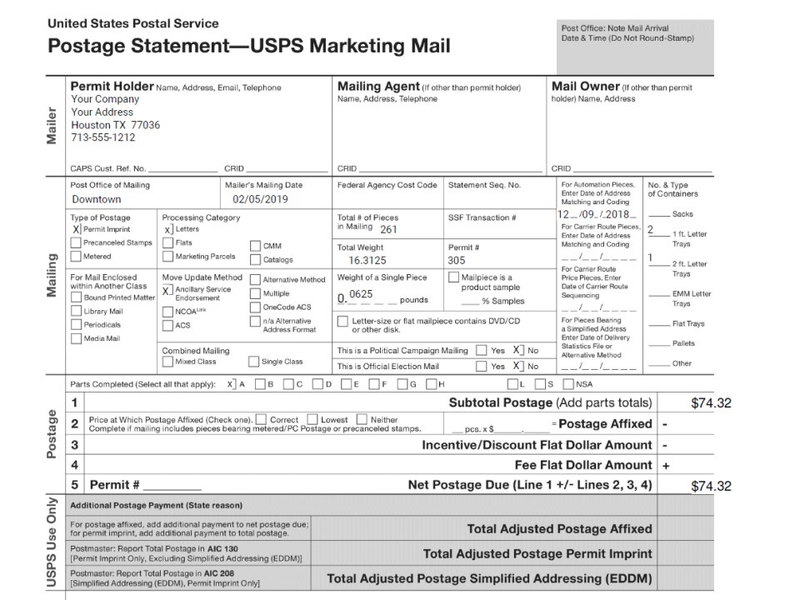 Pros: I like that Postage $aver is a pretty much is a "mailing for dummies" type software. It's very easy to use, sorts and barcodes my mailing lists for me and creates the mailing forms to turn in. I've never had any mailings rejected nor corrected using Postage $aver. Cons: I don't really like anything the least. Probably if there was some way in the future to integrate this with the USPS Postal Wizard, as I still have to fill out the USPS Postal Wizard forms online for online job submission. The pre-printed forms from Postage $aver do make this step very easy though. Overall: I have been able to sort, address, and send my business mail myself without paying for a print shop to do that for me. It's saved me potentially hundreds of dollars each mailing. 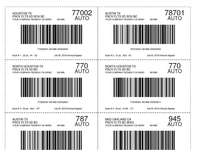 (print shops usually charge about 10-15 cents to address and barcode the mailing per piece.) I'm a small business that only sends about 1200 mailings each month, that's a big savings. It's been very easy to use. I've even had an issue where I've had to call customer support, and was pleasantly surprised when the owner answered and solved my problem. I'd recommend this for any small or large business. Thanks for taking the time to write a review. I'm glad Postage Saver is working well for you. 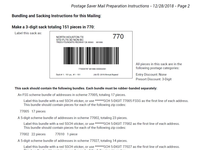 Unfortunately, USPS does not allow us to hook directly into the Postal Wizard, and while there are workarounds for that, they'd be pretty expensive to implement for small mailers. Pros: It takes all of the guesswork out of doing a large mailing. Everything is automated and very easy to use. Cons: Honestly, I can't think of anything I don't like about it. The only thing I can think of is the frequency of updates I receive from Postage Saver, but I'm assuming that has to do with changes the post office makes and Postage Saver is simply keeping our organization and software current. Overall: My experience with Postage Saver, and with CSR himself, has been nothing but positive. He is very prompt and helpful whenever I have needed assistance and gets back to me in a very fast manner, which is refreshing. I have nothing negative to say. I highly recommend Postage Saver for those doing large mailings. Thanks for your very kind review. I'm glad Postage $aver is working for you. Yes, the frequent updates are a USPS requirement. They actually change the routing lists every month, but they give a months' grace, so we can combine them into just 6 per year. Pros: It's easy to use. The prompts are pretty straight-forward and processing time is quick. Integrates easily with Excel. Cons: I do a mail merge from Excel to Word to print labels. It would be great if there was some sort of indicator where the each new tray starts, or if it can automatically insert blank rows in the Excel sheet for each new tray. Right now I have to go into Excel and insert blank rows manually to separate the label set for each tray. Overall: We've using PS for years and are very happy with it. It automated (to some degree) a manually system for us, saving lots of time and minimizing errors. Thanks for your kind words and for taking the time to write a review. I'm glad Postage Saver has worked well for you. Re your suggestion, we are looking at ways to meet that need, but are really reluctant to add blank lines to a user's own data file. Do you print the tray numbers on the labels? Would it be helpful if we added a star (or something similar) to the tray number for the first piece in a new tray? Pros: That we didn't have to seek it or research it to work within our database software, Church Windows, and it fits our needs, no hassel easy to use. Church Windows chose a great software product. Cons: Least? Hummm. Don't believe there is an answer from us. I could comment negatively on the aestetics of design, the dialog box(es)... the overall professional "look" isn't appealing. However the product and customer service is very professional.... so "looks" do not matter to me. Overall: No hassel, easy to use....... I appreciate the timely notification of software updates due to USPS guidelines and such - allows me to download at my convenience. AND when the software update had a glitch years ago, I was impressed with Steve's personalism, professionalism and speediness in resolving the issue. Thanks for your kind words, and for taking the time to write a review. I'm glad Postage Saver has worked out well for you! Sorry you don't like the look, but appreciate the feedback. Pros: This software replaces complex, difficult to use and greatly more expensive options on the market. I have saved thousands of dollars in software expense over the many years I have used this product. Overall: Providing service to many small mailing customers has been greatly simplified. Pros: Ease of use, CASS Certification, works for non profit standard mail. Cons: Nothing really, never had a problem in the years using it. Overall: I have been in the bulk mailing business for 35+ years, used several different software packages when I was working for a larger company, but never found one as easy to use with easy integration into an address database. Thanks for your kind words, and for taking the time to write a review. Just to clarify for anyone reading this review online, Postage Saver is PAVE certified, not CASS certified. That is a different part of the process. We appreciate your business and I'm glad Postage Saver has worked well for you. Pros: We've used this software for 15 years!! Why? The step-by-step process taking you through the screens is intuitive. The programmers of this app did well by putting themselves in the users' shoes, anticipating questions. It really is very few clicks to complete generating the right reports. Consistently, our jobs are accepted by the USPS. Never, in 15 years, has one of our Postage-Saver generated jobs been rejected by the USPS. Cons: Nothing. Otherwise, who stays with software for 15 yrs? Overall: Very responsive to questions (fast, accurate). Always ahead of the regulation change dates. Always accurate. Thanks for your kind words and for taking the time to write a review. Wow, has it really been that long? As always, we appreciate your continued business and willingness to help. Cons: Wish it was better integrated with Word/Excel - perhaps as an add-on. Overall: We use it every month to set up our bulk mail for our monthly newsletter. 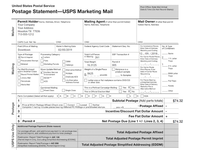 Prior to PostageSaver, we used a mailing list program with integrated bulk mailing. However, they increased their postal updates to such a price that the updates were costing us more than we were saving using bulk mail. And they had no online updates - only through CD-Roms. PostageSaver was a god send when we found it. Reasonably priced for a small organization like ours. CSR has always responded quickly with any support requests or questions we have had. Highly recommend! Thanks for your kind words and for taking the time to write a review. I'm glad Postage $aver is meeting your needs well. If you get a chance, let me know a little more about the Excel issue. As you know, Postage $aver reads and writes directly to Excel files.What more would you find helpful? Pros: Ease of use, accurate results. Postage Saver software is easy to understand and use. The sorting and list generation works very well. Postage Saver provides good results ready for the post office. Cons: I wish it were easier to review and reprint documents from previous orders. Overall: Postage Saver provides an accurate and cost effective method for producing mailings for our company. Support is always prompt and helpful. Thanks for your kind words and taking the time to write a review. As to reprinting, I'm guessing you know you can reprint your most recent documents from the File menu in Postage $aver. But for prior jobs, I recommend saving the reports as pdf rather than just printing them out. That's the only way to do it at this time. Appreciate your comment and your continued business. Pros: Before this software, we were figuring our postage sheets manually. This software has been a time saver. The few times I have had to contact customer service they were very friendly and eager to help. Switching from a PC to a MAC was the biggest challenge, but they helped me through it. Cons: There really hasn't been any complaints. Glad you're happy with the software. Thanks for taking the time to write a review! We appreciate your business. Pros: I love the ease of use and the customer support when you need some assistance, usually because of user error. Cons: It would be nice to be able to save a few repeated settings and switch between them to save time. Overall: We use this software to send bulk mails for our company and other businesses. I love how easy it is to make sure we are getting the best value and proper paperwork for them. Thanks for your kind words and for taking the time to write a review. I'm glad Postage Saver works well for you. Thanks for your suggestion. In case you didn't know, you can save multiple versions of the information on the Statement Information screen, so that you don't have to re-enter the information when you switch mailers. Hope that's helpful. Pros: It is easy, it does the hard work for you. Cons: I might want some more fillable areas - this may already be a part of it but since I am not a technical person I haven't figured out if it is. Overall: Merging data to give to the post office, it prints out all the paperwork already filled in. Makes that part of my job so easy. Thanks for taking the time to write a review, and for your kind words. I'm glad the software is working well for you. I'm not sure what you are asking for in terms of fillable areas. Can you tell me more specifically? Pros: Easy to use, money saving, and helps me to understand the confusing USPS rules and procedures. Cons: n/a - I haven't found anything I don't like. Everything is great. Overall: Our business has been mass mailing letters for decades and it was simple for us so we never needed a special software to do anything. But then we dove into the deep end with 'flats', which need to be bundled, sticker'd, sorted, and require different paperwork and tray tags. I was so confused, even after 30 minutes with the clerk as the business mail entry unit. I explored software options to help us, the Postage $aver was our first try... it did the trick and made it so easy for me! Thanks for your kind words and for taking the time to write a review. I'm glad that Postage $aver is working well for you. As always, let us know if you ever run into questions or problems. We appreciate your business. Pros: This software is easy to use and straightforward with its prompts. Cons: I don't really have any complaints about the software. Overall: Postage $aver enables us to create and complete our mailings in a timely fashion without the hassle of going through third party. Thanks for taking the time to write a review, and for your kind words. I'm glad Postage Saver is working well for you. Pros: It does very well in the postal preparation and sorting. No regrets! Cons: No cons that we have found. We really like it. Overall: Doing our monthly mailings became much easier with Postage Saver! Thanks! I'm glad Postage $aver works well for you. Appreciate you taking the time to write a review. Pros: I used to use Envelope Manager, however they closed their doors. Somehow I found Postage Saver, and their software is much more affordable than paying hundreds of dollars annually for a license. Plus, it is much easier to use too! Director of Communications and I.T. Pros: It's Easy, fast, and just great software. Cons: I don't like the fact that it does not Auto update. Thanks for your kind words and for taking the time to write a review. I appreciate your concern about the updates. We don't auto-update because there are sometimes hard dates when postage rates and sorting lists change, and we don't know if you are preparing mail that will not go out until after the change date. So we leave it to you to decide when it is appropriate to update. But we will continue to try to make the update process easier. We appreciate your business. Again, thanks.